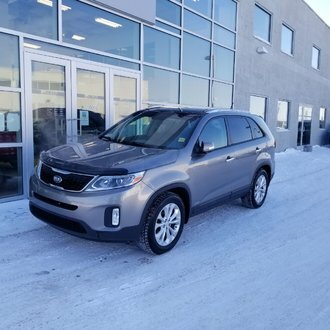 2016 Kia Sorento LX has a 2.4L engine, Alloy wheels, BLUETOOTH, AM/FM/CD/MP3, multi-function steering wheel, POWER windows, POWER locks, air conditioning, KEYLESS entry, telescoping steering wheel, HEATED seats, HEATED mirrors and much more! This fuel efficient SUV is equipped to conquer whatever mother nature throws your way and has tons of remaining FACTORY WARRANTY. It has also passed a complete mechanical inspection, this Sorento shows like new and SAVES YOU THOUSANDS off new!